Totteridge and Whetstone is a sought after and affluent part of North London. Sitting between Finchley and Barnet, Whetstone provides residents with easy access to central London and open countryside. 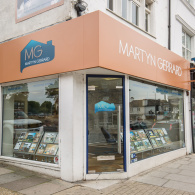 The main shopping centre is along the High Road which is where Martyn Gerrard Estate Agents in Whetstone have their office. Good schools and transport links make this a popular family area. There is a range of properties available which includes the multi-million pound mansions in the prestigious Totteridge Common (named the ‘Beverly Hills of North London’ by Vanessa Feltz, who grew up in there). But there are also plenty of more affordable properties for growing families and first time buyers in and around Totteridge and Whetstone.